The experiment looks like a mega-success. 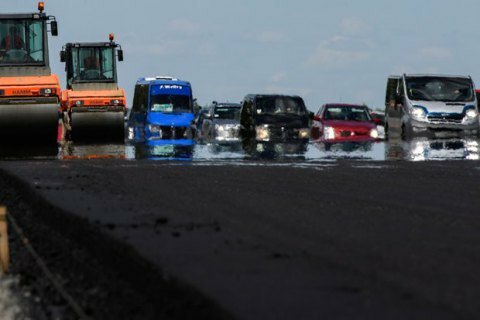 The State Fiscal Service in January-July has transferred over 8 bn hryvnia to local budgets for road repairs, the Cabinet said Friday in a release on Facebook. A pilot project, in which half of the extra-budgetary receipts from customs are channelled for road repairs, took off last September in Volyn, Lviv, Odesa, Chernivtsi regions and Kyiv. Since then, the customs in these regions earned over 2 bn hryvnia for repair of roads. Since January 2017, the experiment has been extended to the entire territory of Ukraine. In March, Prime Minister Volodymr Groysman said he expected UAH 7 to 9 bn in revenue from customs for road repairs in 2017.